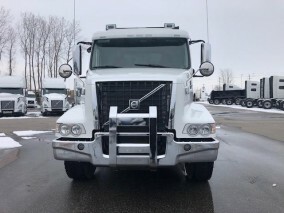 Stardard Features | 401 Trucksource Inc.
Volvo is committed to giving you the safest ride available, with a number of standard safety features designed to help keep you out of danger on the road. VEST continually monitors driver inputs and detects when a driver is getting close to experiencing a rollover or other dangerous event, and automatically applies the appropriate braking and reduces torque to help put you back on course. VEC helps you maintain a safe distance from the vehicles around you, even the smaller and hard-to-spot ones, using bumper-mounted radar monitors and giving you warnings if another vehicle is too close. VEC can also dethrottle the engine automatically and apply the brakes in order to prevent a collision. A windshield-mounted camera tracks road markings and alerts you if you truck begins to drift so you can get back into the correct lane. Volvo Trucks aren't just efficient and powerful - they are also built with the driver in mind, and come with a number of standard features designed to make the drive as comfortable as possible. 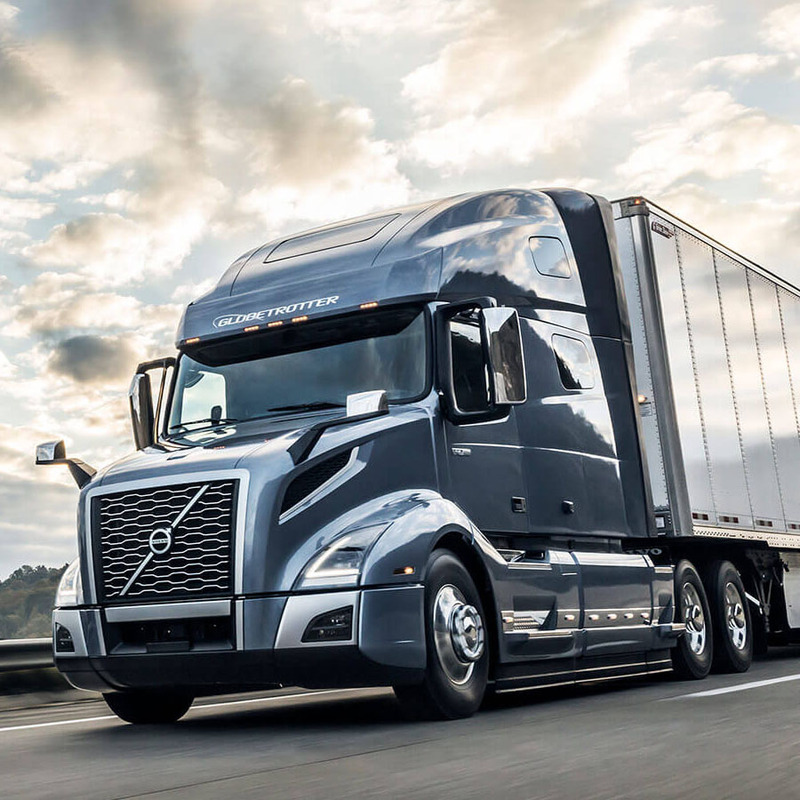 Your Volvo Truck's cab is quiet, and offers air suspension and outboard mounted air springs, shocks, and stabilizer bar to give you a smooth ride. Featuring back and lateral support, front and rear cushion adjustment, 7-inch fore-and-aft slide,and power air lumbar support, the standard seats on your Volvo Truck offer you an incredibly comfortable ride. This optional feature gives you complete control over the temperature in your sleeper cab without needing to idle you engine in order to cool the interior. The Volvo I-Shift helps makes the drive more efficient and responsive in all of our Volvo Trucks. This intelligent system uses the latest technology to monitor grade, speed, weight, and engine load to shift more efficiently and save fuel. The I-Shift Transmission is compatible with every Volvo Engine and is rated for up to 2,300 LB FT of torque. Volvo trucks feature the “one-box” exhaust aftertreatment system that offers both reduced weight and improved muffler efficiency, and offers long-term reliability and efficiency. 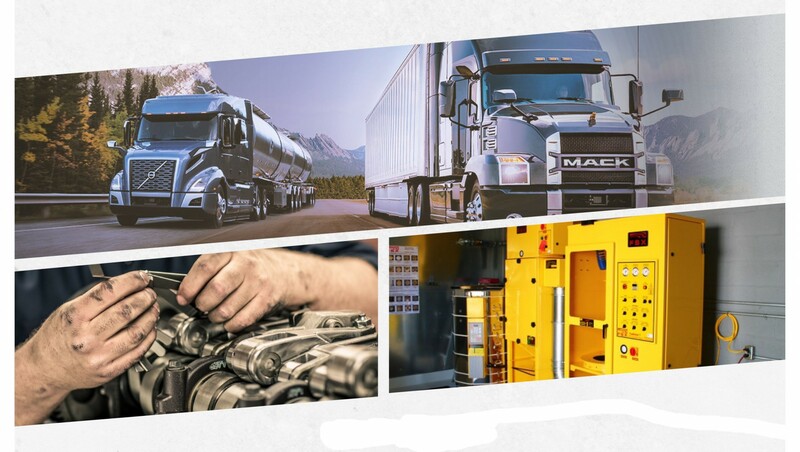 This system not only provides you with reduced emissions to meet even the toughest standards, but also fuel and cost savings for your fleet. This system allows for particulate exhaust from the engine to flow to your Volvo’s DPF, where much of the particulate from the exhaust is removed. 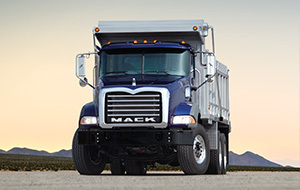 Next, diesel exhaust fluid is mixed in, and the DEF and catalytic converter change the nitrogen oxides to nitrogen and water vapor, reducing the truck’s emissions considerably. This is an automated process in almost all highway applications, and can save you time and money. The design of Volvo’s common-rail fuel system gives you a number of great benefits, including greater fuel efficiency through quicker and more accurate fuel injection, as well as improved reliability and reduced engine noise. This intelligent system gives you precise control over engine braking, reducing the use of the truck’s brake system until they’re needed most. These are just a few of the standard and available features on every new Volvo Truck to help give you a safer, more efficient, and more enjoyable ride. For more information on all the great features available in each New Volvo Truck for sale, contact us or visit 401 Trucksource today!